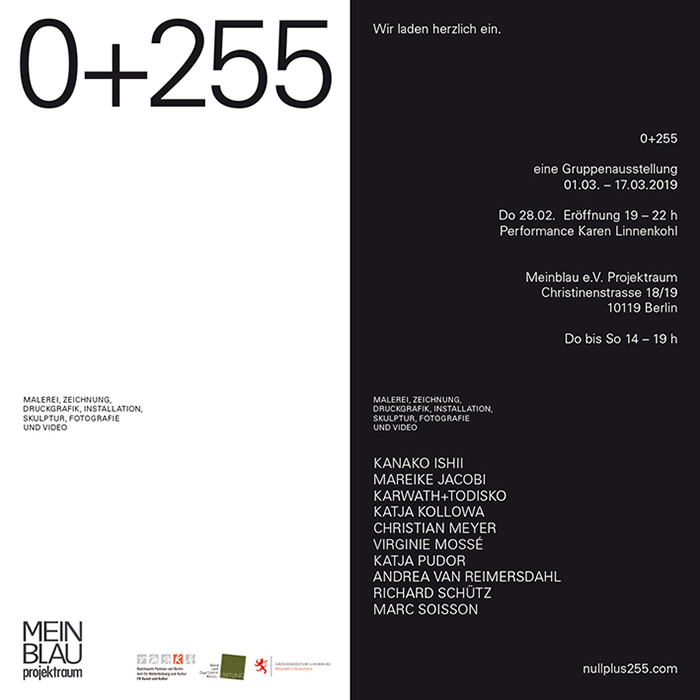 0 ist der Farbwert für die Farbe Schwarz, 255 für die Farbe Weiß auf der RGB-Farbpalette: Die Gruppenausstellung »0+255« fasst Berliner Künstler_innen zusammen, die sich in ihrer Arbeitsweise auf Schwarz und Weiß beschränken. »0+255« soll abstrakte und gegenständliche Positionen zeigen, die sich auf unbunte Abstufungen begrenzen um dadurch eine prägnante Aussage zu machen. 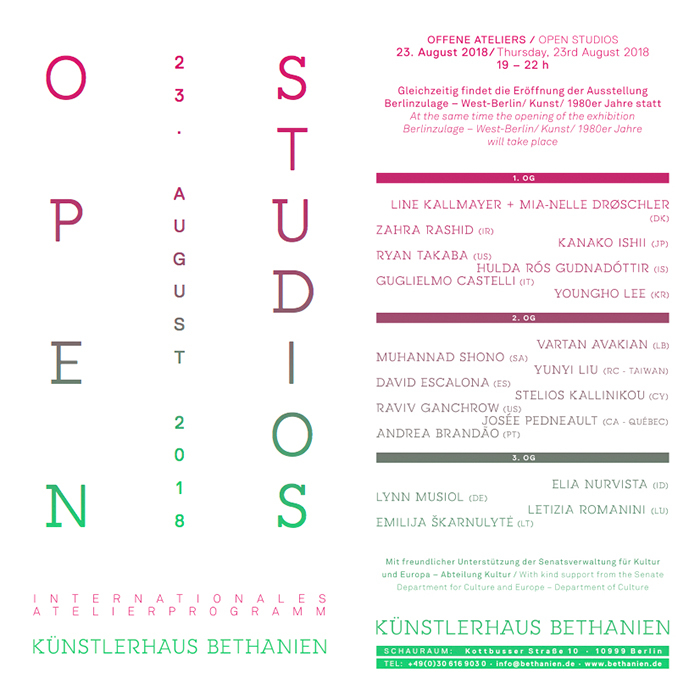 Zehn Künstler_innen, davon fünf Absolvent_innen der weißensee kunsthochschule berlin, zeigen ihre Arbeiten in extremer Gegensätzlichkeit als Malerei, Zeichnung, Druckgrafik, Installation, Skulptur, Fotografie, Video. In einem übergeordneten Sinne reflektiert die Gegenüberstellung starker Kontraste aktuelle politische und gesellschaftliche Entwicklungen. Extreme Positionen stehen sich gegenüber und Grauzonen scheinen sukzessive verdrängt zu werden. 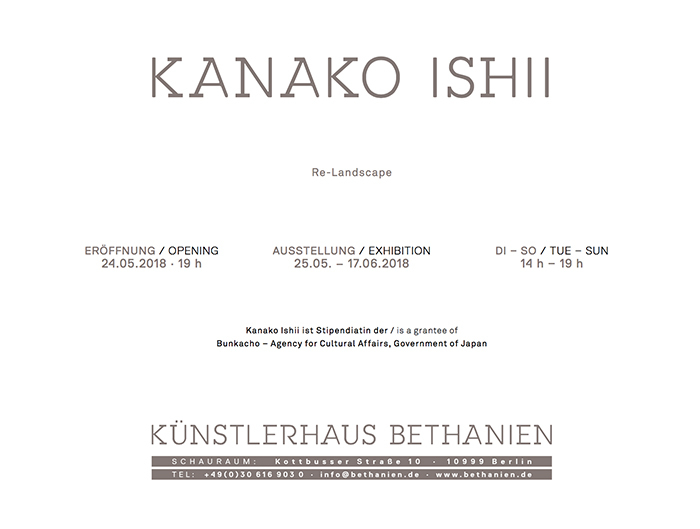 he first in a series of interventions by Kanako Ishii, titled “Re-Landscape” on February 22. The intervention will take the shape of a layering of curtains in TIER’s storefront window. “Re-Landscape” is a long-term curtain project by Kanako Ishii that captures memories of views from windows that change as time goes on, through processes such as urban development, natural disaster, war damage or leaving one’s own place. In her ongoing intervention at The Institute for Endotic Research, Ishii’s curtains will be layered one after another in the storefront window to represent the four seasons. 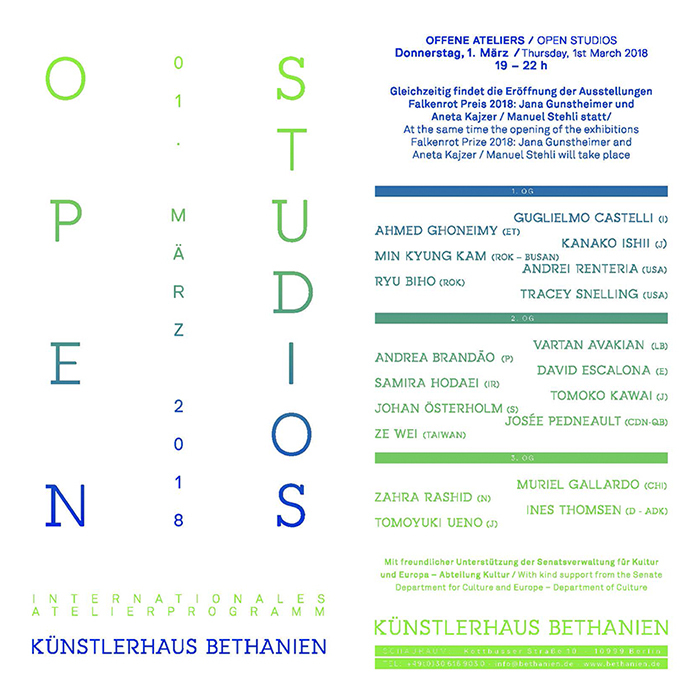 It will develop through a walk based on research about the neighborhood, especially regarding the history of the Bohemian refugees who fled to Rixdorf in the 18th century, and will eventually become a situated visual archive. Kanako Ishii’s works are characterized by her engagement with metaphysical boundaries and apparent opposites – past and present, memory and forgetting, presence and absence. 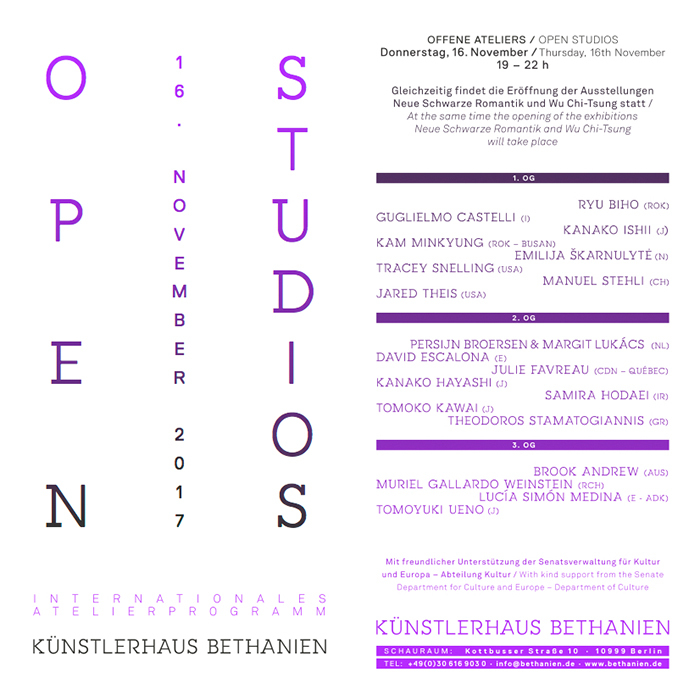 Her current work, a video istallation to be seen in Künstlerhaus Bethanien, is about childhood. In an encounter with texts by German philosopher Walter Benjamin, Ishii develops a visual concentration of the subject, which is linked irrevocably to questions of memory and the relationship between present and past. 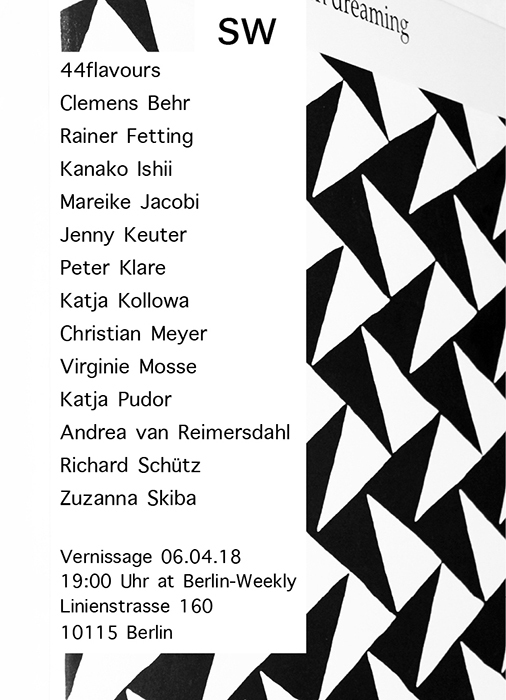 The group exhibition SW is curated by Andrea van Reimersdahl and combines black and white works by Berlin artists associated with Berlin Weekly and Andrea van Reimersdahl. Copyright © Kanako Ishii, All rights reserved.